Heath Stewart (pictured below) has taken out the second title for the Newcastle Poker Championships at Club Macquarie, besting a field of 78 players to claim the $800 first prize. After a dramatic day in the action-packed $33 No Limit Hold’em Six-handed event, the final six players took their seats with blinds at 4000/8000. The final hand of the tournament was slightly anti-climactic with Michael Blacktop all-in just to cover his small blind. He showed Js-8c and only marginally trailled Stewart’s Q-2. That was until the flop fell Qc-2s-2h, leaving Blacktop drawing dead. The turn 5s and river As confirmed Stewart as the champion while Blacktop collected $430 as runner-up. The first major action of the final table featured Ricky Pettet in mid position holding 8c-6d while Mark Nelson held Ks-10s in the big blind. Pettet shoved all-in for 10k pre-flop, Nelson called and they watched the board run out Kd-3c-9s-4d-2c, eliminating Pettet in $150. However, the joy didn’t last long for Mark Nelson as the last of his chips were committed with chip leader Heath Stewart going along for the ride. Nelson showed A-K while Stewart’s pocket 10s were slightly ahead. It stayed that way on a board of 6s-2c-9d-Qd-5c, ensuring Nelson a payout of $180. Peter Gale stuck in his remaining chips from the big blind with Kd-Qd and led Stan Barker’s Qs-10d to the flop. But a T on the flop was enough for Barker to scoop the pot and send Gale on his way to collect $240 for fourth. Barker’s newly acquired chips were quickly put into play with Ac-10s and it was Michael Blacktop who elected to gamble with As-2s. Again, the worst hand prevailed when Blacktop nailed a deuce on the flop, leaving Stan Barker to pocket third-place prizemoney of $320. The final table of the NPC VI Six-handed event has been decided after Scott Bruhn’s roller coaster ride ended with his elimination in seventh. His last stand came with pocket sevens against the Ac-3c of Mark Nelson. The board of 2c-8c-Jc-9c-Js made Nelson’s flush, leaving Bruhn with less than a small blind which lasted until the next hand when Heath Stewart ended his tournament life. Bruhn had earlier KOed Scott Luschwitz when he rivered the nut flush against Luschwitz’s rivered flush. And Christine Wilson bubbled the cash when she failed to fill her flush but to no avail as Stan Barker had turned a full house. Meanwhile Ricky Pettet had suffered a horror run leading up to the final table after his pocket kings and pocket nines were overtaken in races against the paired aces of Michael Blacktop and Peter Gale. Michael Blacktop’s charge to the final table has suffered a setback after calling the all-in of Nick Cummings on the river. Blacktop sent his cards into the muck when Cummings revealed Kh-10h for the nut flush. However, Cummings would soon fall victim to Ricky Pettet (pictured above) when his Ac-Qc was crushed by Pettet’s Kd-10h after the board flowed Ad-Jd-3c-8d-6d. Meanwhile Heath Stewart is starting to make a move after his A-K played on a board of 5c-9c-5h-Jd-7s against the A-7 of Scott Luschwitz. The $33 NLHE Six-handed field is down to two tables after the elimination of former Aussie Hold’em Tournament of Champions winner Rhys Gregson. He looked in good shape with Ah-9d against the 9c-4c of Michael Blacktop but the board of 5s-8s-9h-4d-7s made Blacktop two-pair. Steven Findley finished 11th place when his pocket deuces were overtaken by Ricky Pettet’s A-4 when an A hit on the river. Michael Blacktop, winner of the deepstack event at the 2011 NPC is making a strong comeback in this event. He just shoved his last 8000 into the middle with a call from Steven Findley. It was pocket sevens for Findley against the Kc-Jc of Blacktop. The board of Qh-Qd-10c-10h-4h counterfeited Findley’s two pair and Blacktop was back up to 20k. We also just saw Mark “Birthday Boy” Nelson take down a nice pot after flopping a set of aces against an opponent’s flush draw. Nelson filled up on the turn to leave his opponent drawing dead. Short-stacked Joe Mujic elected to make his final stand in this Six-handed event (field pictured below) with pocket sixes with Maitland regular Ricky Pettet ensuring a race when he called with A-J. Mujic led until an A on the river gave Pettet the pot. Anthony Bonar also found his short stack under threat desoite his Ah-6d leading the 9h-7h of Christine Wilson to the flop. The board was revealed Kh-Ah-Kd-Js-Jh making Bonar two-pair but Wislin filled her flush to send Bonar to the rail. Ryan Hanna has hit the rail in trying circumstances after a big pot against Anthony Bonar. With blinds at 75/150, Hanna made it 450 and Bonar called. The flop came 9s-10c-Jh – Hanna checked, Bonar bet, Hanna announced “all-in” and Bonar quickly called. He showed Kc-Qs for a flopped straight, while Hanna’s pocket eights needed help. The turn Kh brought hope but an 8h on he river just rubbed salt in his wounds. With blinds at 50/100, Christine Wilson and Bob Watterson saw a flop of Qh-Qc-8h. Wilson bet 300, Watterson called and then turn fell 10c. Wilson checked, Watterson bet 600 and Wilson called. Wislon again checked on the river (2s), Watterson bet most of his stack (3800), Wilson bet enough to put Watterson all-in and he duly obliged. He showed Qd-8c for a flopped boat leaving Wilson’s trip queens in its wake. 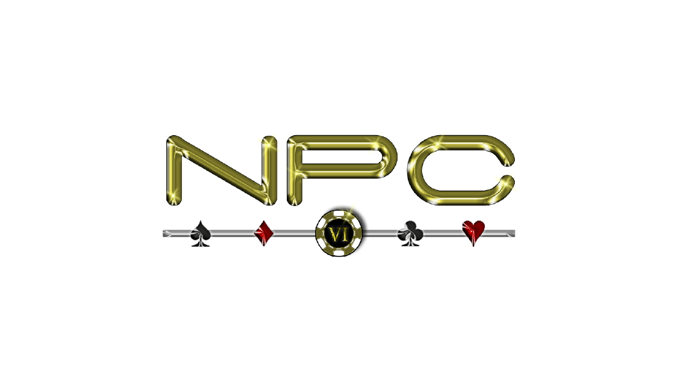 The field for the NPC NLHE Six-handed event has been confirmed at 67 although players are doing everything in their power to reduce that figure as quickly as possible! Blinds were still at 25/50 when Mark Nelson and Joel Burgess saw a flop of 2c-3s-5h. Nelson checked, Burgess bet 300, Nelson bumped it to 800 and Burgess called. The turn fell Qc, Nelson bet 800 and Burgess called. On the river 7s, Nelson bet a further 400 and Burgess again called. Nelson showed Ad-4d for a flopped straight against the A-Q of Burgess. 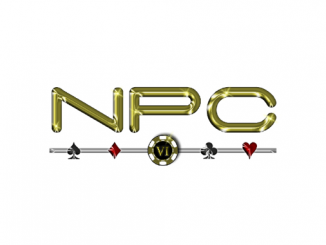 In a huge day of poker at Club Macquarie, players have started to arrive for the second event on the NPC VI schedule – the NLHE Six-handed event. 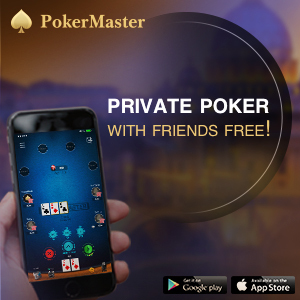 Recognised as a genuine test of No Limit Hold’em skills due to the amount of decisions that need to be made. Aussie Hold’em players turned out in force for the event, with 58 players filling 12 tables. It didn’t take long for the action to kick-off in earnest with Adam Wales hitting the rail after the first hand! With blinds at 25/50, Wales raised to 300, Jason Lozanovski (pictured above) made it 600, Wales declared all-in and Lozanovski snap-called, Wales showed pocket fours while Lozanovski held A-Q. The flop fell an almost unbelievable Ad-Ac-4d before Lozanovski turned a bigger full-house thanks to the Qs. The river bricked Jc send Wales to the rail.